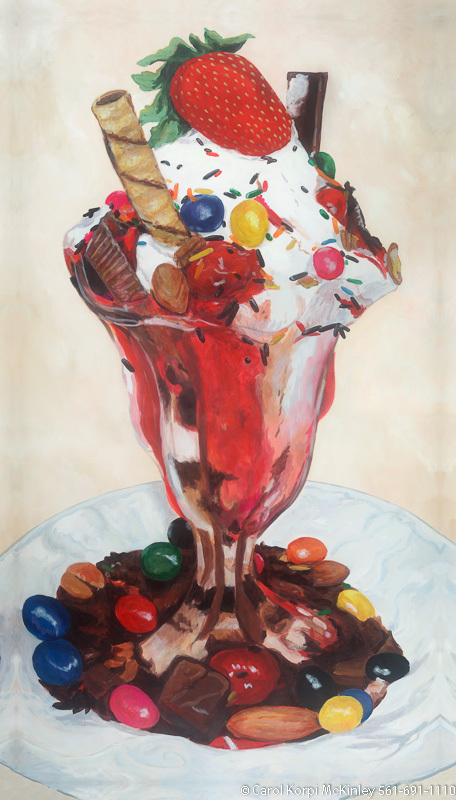 Ice Cream Sundae #JUN-032, Original Acrylic on Canvas: 65 x 120 inches $14400; Stretched and Gallery Wrapped Limited Edition Archival Print on Canvas: 40 x 72 inches $1620. 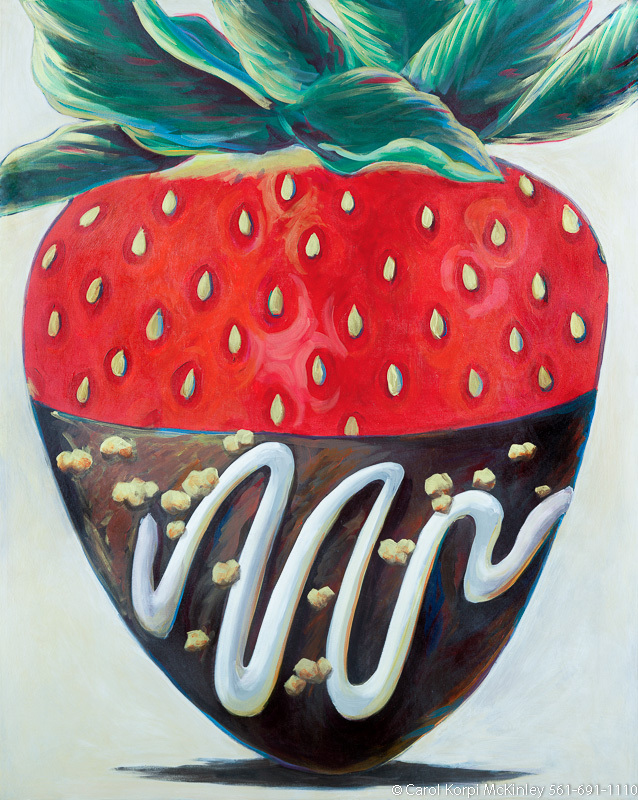 Strawberry #JUN-005, Original Acrylic on Canvas: 48 x 60 inches $6300; Stretched and Gallery Wrapped Limited Edition Archival Print on Canvas: 40 x 50 inches $1560. Custom sizes, colors, and commissions are also available. For more information or to order, please visit our ABOUT page or call us at 561-691-1110. 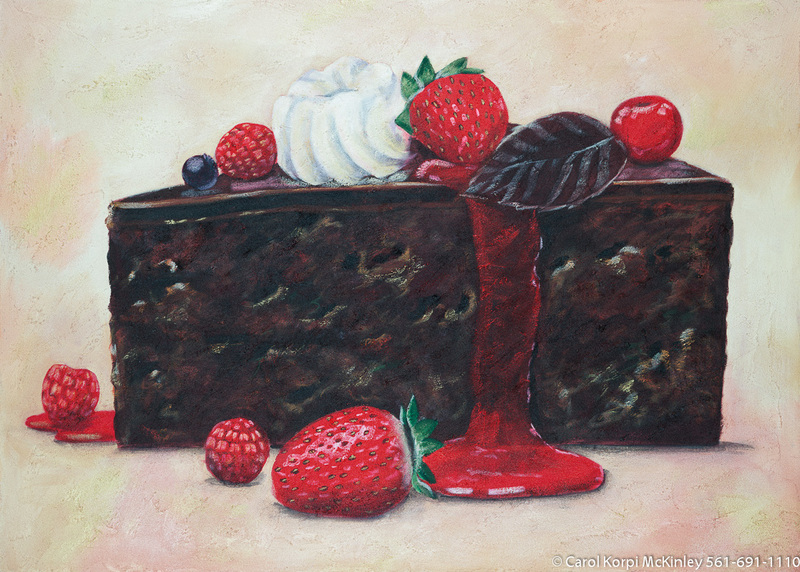 Cake #JUN-027, Original Acrylic on Canvas: 48 x 68 inches, Sold; Stretched and Gallery Wrapped Limited Edition Archival Print on Canvas: 40 x 56 inches $1590-. Custom sizes, colors, and commissions are also available. For more information or to order, please visit our ABOUT page or call us at 561-691-1110. 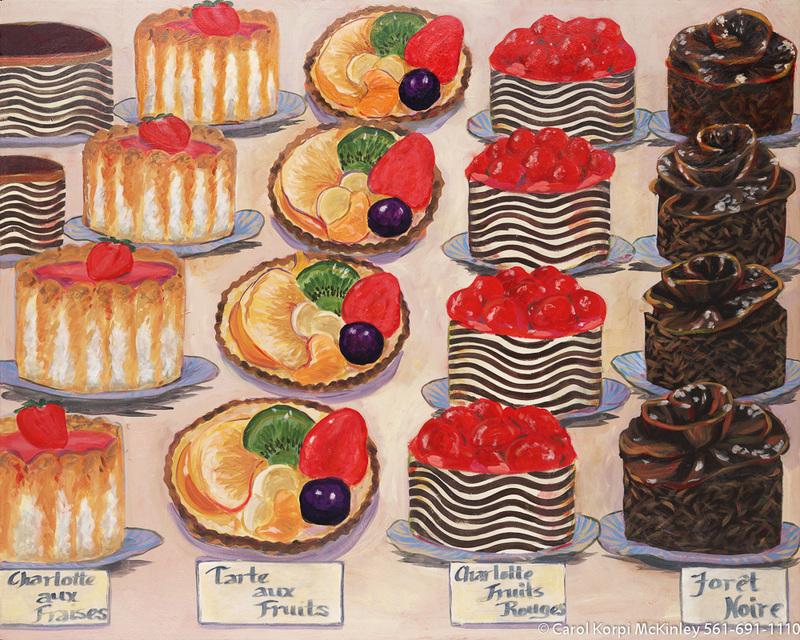 Swiss Cake Rolls #JUN-035, Original Acrylic on Canvas: 48 x 60 inches $4800; Stretched and Gallery Wrapped Limited Edition Archival Print on Canvas: 40 x 50 inches $1560. Custom sizes, colors, and commissions are also available. For more information or to order, please visit our ABOUT page or call us at 561-691-1110. 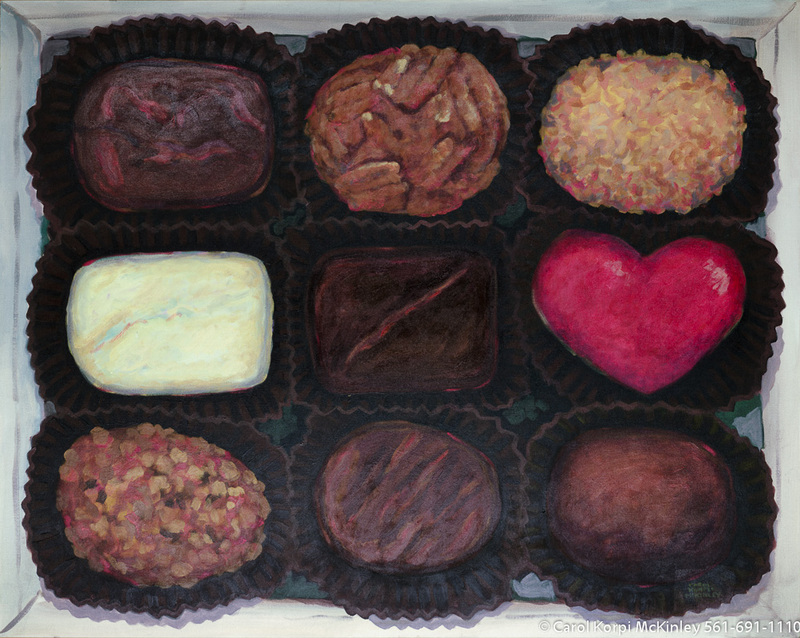 Chocolates #JUN-037, Original Acrylic on Canvas: 48 x 60 inches $6600; Stretched and Gallery Wrapped Limited Edition Archival Print on Canvas: 40 x 50 inches $1560. Custom sizes, colors, and commissions are also available. For more information or to order, please visit our ABOUT page or call us at 561-691-1110. 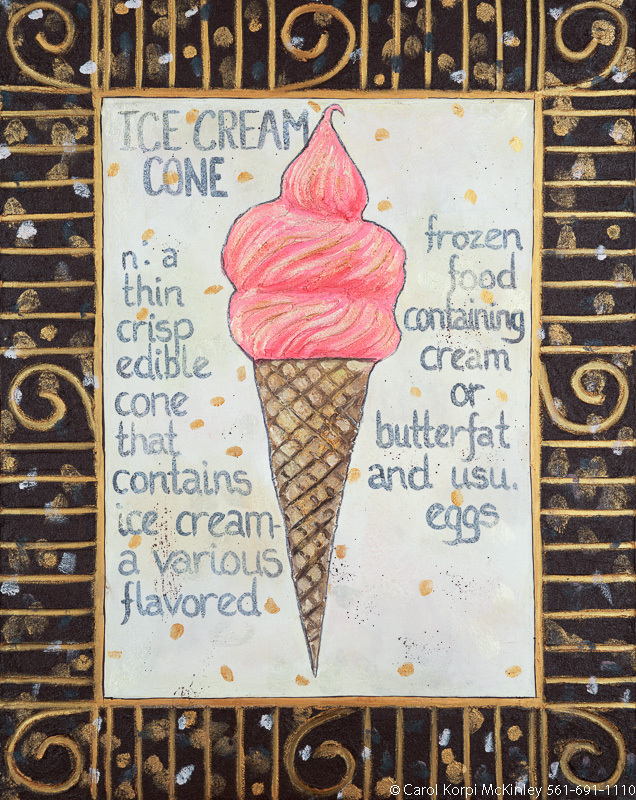 Ice Cream Cone #JUN-026, Original Acrylic on Canvas: 36 x 60 inches $3000; Stretched and Gallery Wrapped Limited Edition Archival Print on Canvas: 36 x 60 inches $1590. 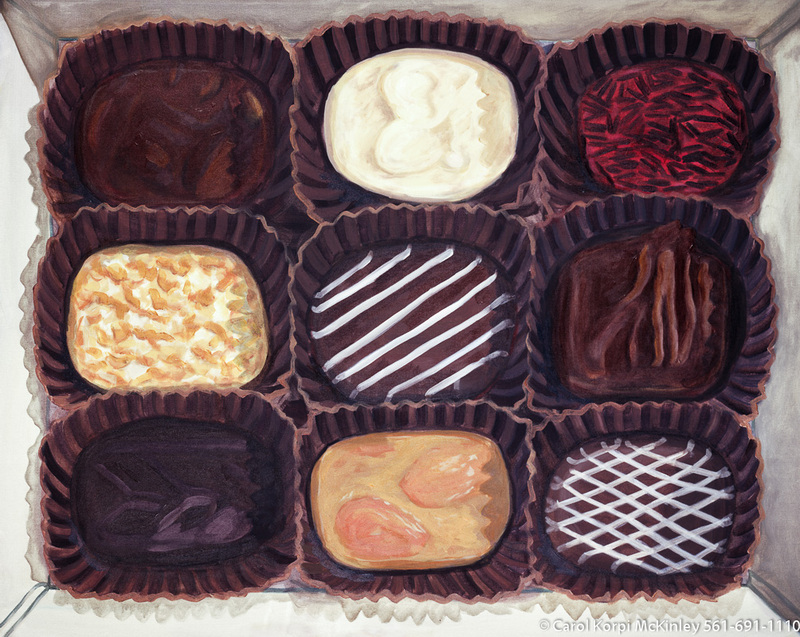 Chocolates #JUN-033, Original Acrylic on Canvas: 48 x 60 inches $6600; Stretched and Gallery Wrapped Limited Edition Archival Print on Canvas: 40 x 50 inches $1560. Custom sizes, colors, and commissions are also available. For more information or to order, please visit our ABOUT page or call us at 561-691-1110. 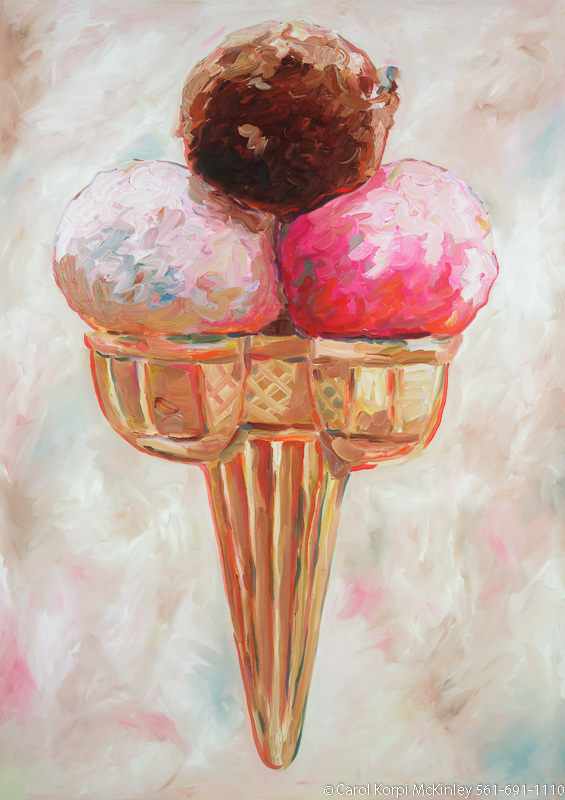 Triple Scoop Ice Cream #JUN-031, Original Oil on Canvas: 48 x 68 inches $6000; Stretched and Gallery Wrapped Limited Edition Archival Print on Canvas: 40 x 56 inches $1590. Custom sizes, colors, and commissions are also available. For more information or to order, please visit our ABOUT page or call us at 561-691-1110. 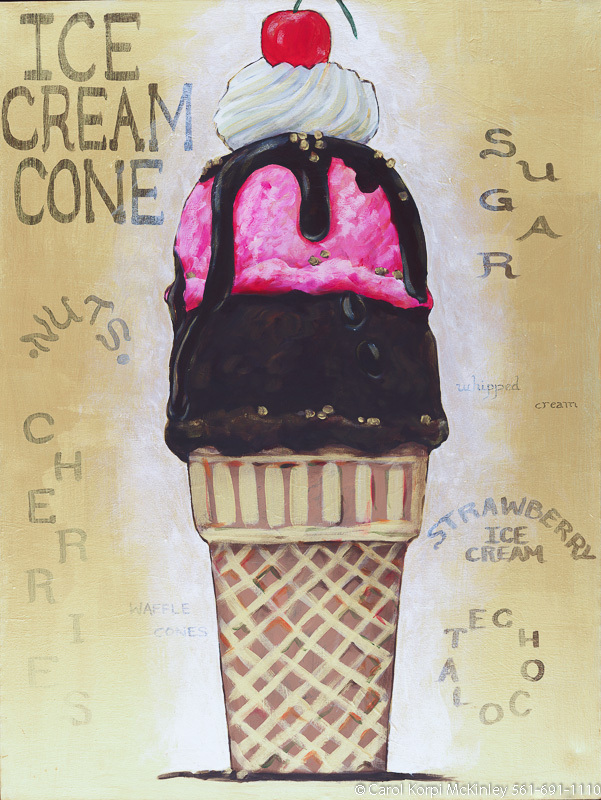 Ice Cream Cone #JUN-025, Original Acrylic on Canvas: 30 x 68 inches $3600; Stretched and Gallery Wrapped Limited Edition Archival Print on Canvas: 30 x 68 inches $1590. 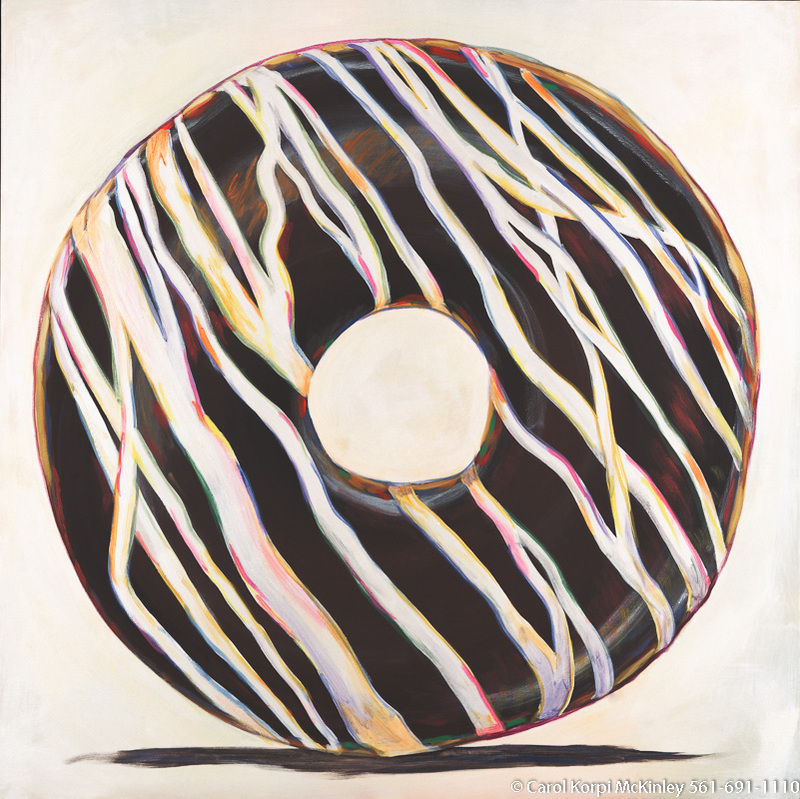 Doughnut #JUN-016, Original Acrylic on Canvas: 48 x 48 inches $2700; Stretched and Gallery Wrapped Limited Edition Archival Print on Canvas: 40 x 40 inches $1500. Custom sizes, colors, and commissions are also available. For more information or to order, please visit our ABOUT page or call us at 561-691-1110. 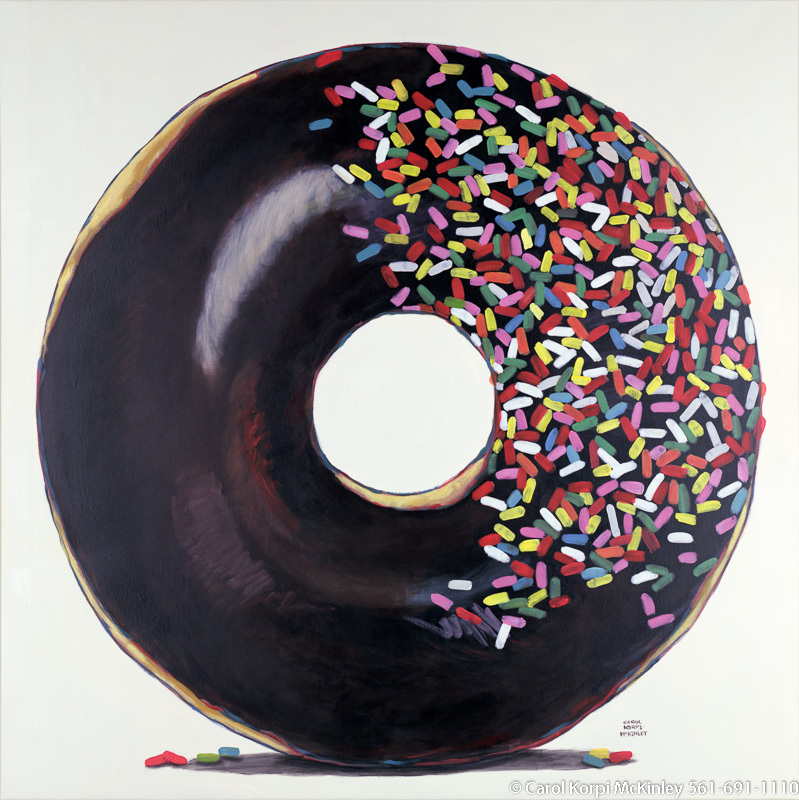 Doughnut #JUN-017, Original Acrylic on Canvas: 48 x 48 inches $2700; Stretched and Gallery Wrapped Limited Edition Archival Print on Canvas: 40 x 40 inches $1500. Custom sizes, colors, and commissions are also available. For more information or to order, please visit our ABOUT page or call us at 561-691-1110. 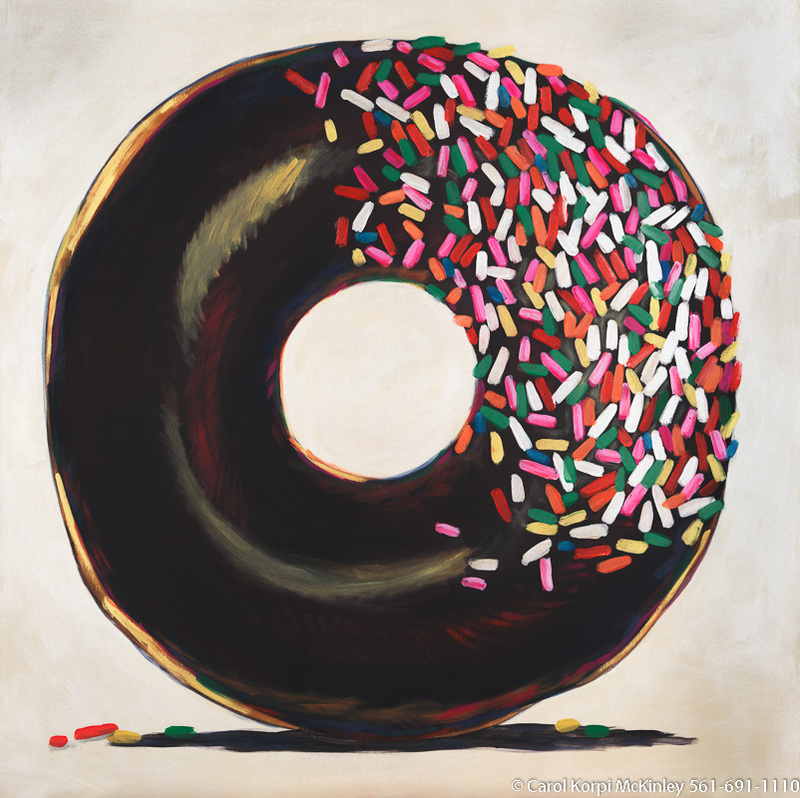 Doughnut #JUN-030, Original Acrylic on Canvas: 48 x 48 inches $2700; Stretched and Gallery Wrapped Limited Edition Archival Print on Canvas: 40 x 40 inches $1500. Custom sizes, colors, and commissions are also available. For more information or to order, please visit our ABOUT page or call us at 561-691-1110. 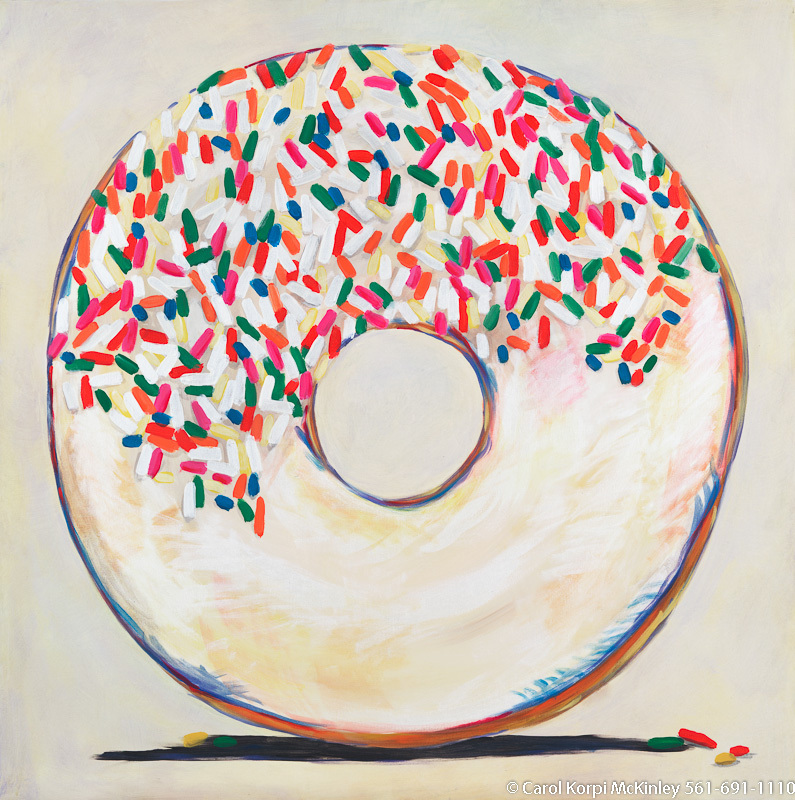 Donut with Sprinkles #JUN-040, Original Acrylic on Canvas: 60 x 60 inches $6600-, Sold; Stretched and Gallery Wrapped Limited Edition Archival Print on Canvas: 40 x 40 inches $1500-. Custom sizes, colors, and commissions are also available. For more information or to order, please visit our ABOUT page or call us at 561-691-1110. Ice Cream Cone #JUN-001, Original Acrylic on Canvas: 30 x 68 inches $3600; Stretched and Gallery Wrapped Limited Edition Archival Print on Canvas: 30 x 68 inches $1590. 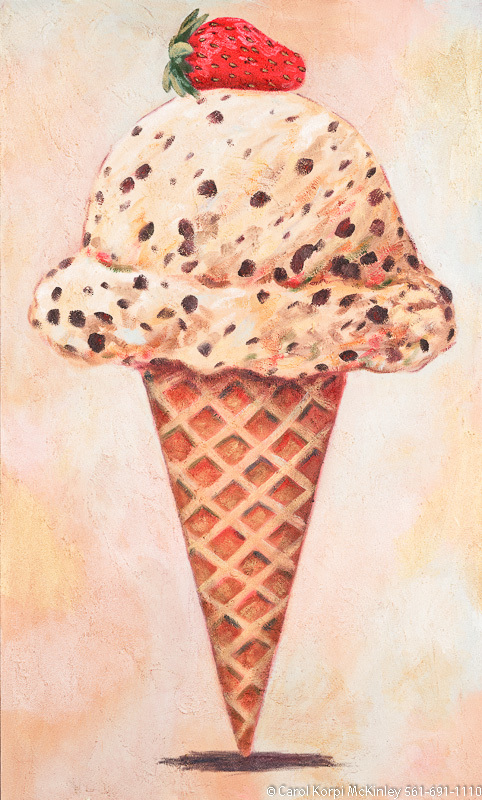 Ice Cream Cone #JUN-002, Original Acrylic on Canvas: 30 x 68 inches $3600; Stretched and Gallery Wrapped Limited Edition Archival Print on Canvas: 30 x 68 inches $1590. Ice Cream Cone #JUN-003, Original Acrylic on Canvas: 30 x 68 inches $3600; Stretched and Gallery Wrapped Limited Edition Archival Print on Canvas: 30 x 68 inches $1590. 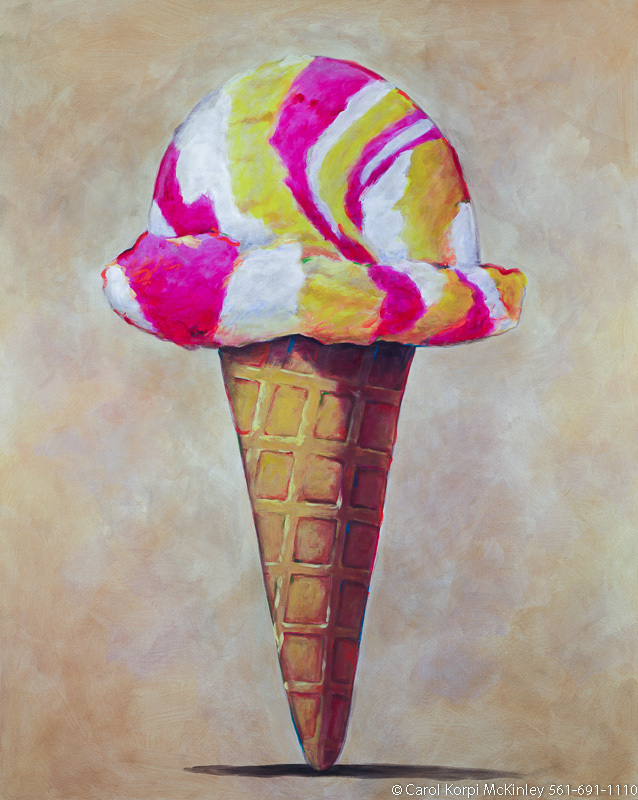 Ice Cream Cone #JUN-004, Original Acrylic on Canvas: 30 x 68 inches $3600; Stretched and Gallery Wrapped Limited Edition Archival Print on Canvas: 30 x 68 inches $1590. 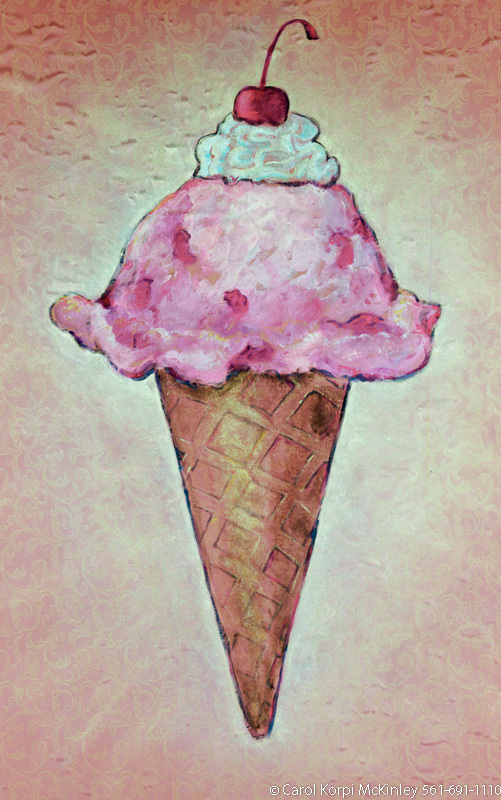 Ice Cream Cone #JUN-021, Original Acrylic on Canvas: 48 x 60 inches $2100; Stretched and Gallery Wrapped Limited Edition Archival Print on Canvas: 40 x 50 inches $1560. Custom sizes, colors, and commissions are also available. For more information or to order, please visit our ABOUT page or call us at 561-691-1110. 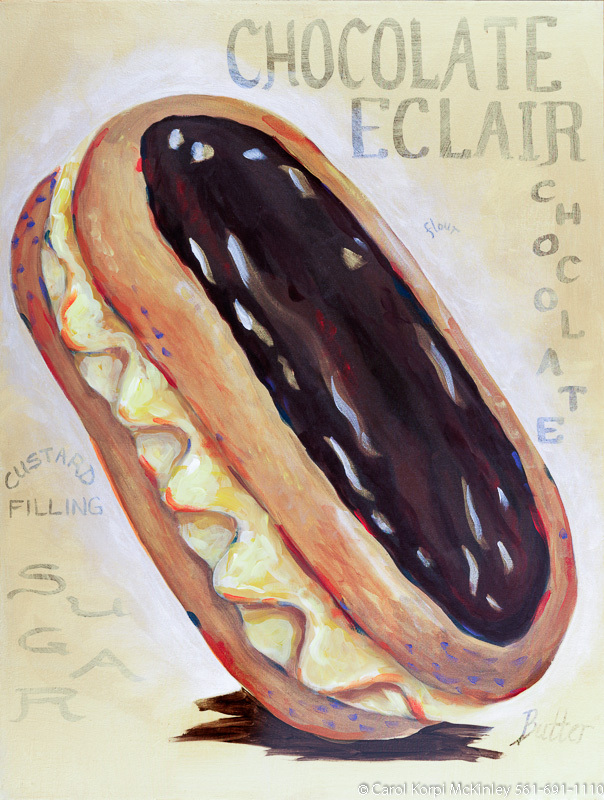 Eclair #JUN-008, Original Acrylic on Canvas: 30 x 40 inches $2250; Stretched and Gallery Wrapped Limited Edition Archival Print on Canvas: 40 x 56 inches $1590. Custom sizes, colors, and commissions are also available. For more information or to order, please visit our ABOUT page or call us at 561-691-1110. 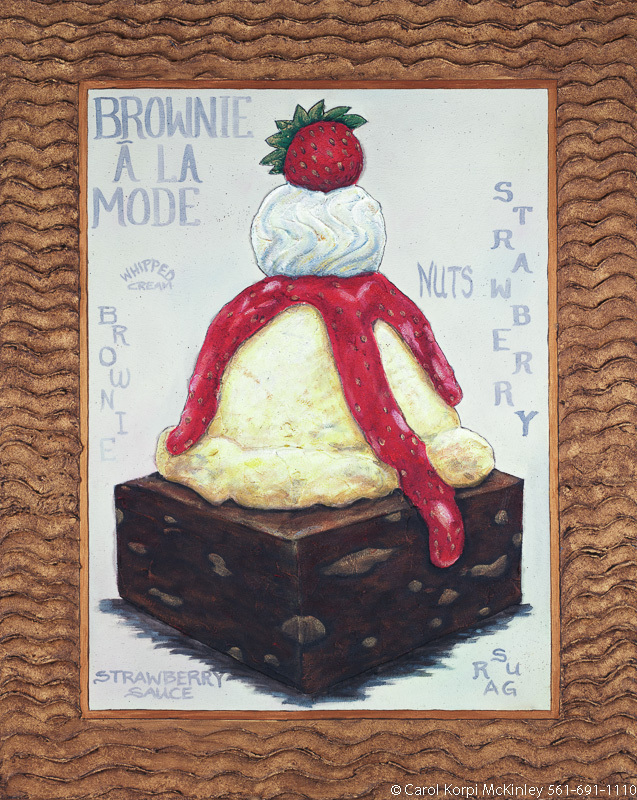 Brownie ala Mode #JUN-009, Original Acrylic on Canvas: 30 x 40 inches $2250; Stretched and Gallery Wrapped Limited Edition Archival Print on Canvas: 40 x 56 inches $1590. Custom sizes, colors, and commissions are also available. For more information or to order, please visit our ABOUT page or call us at 561-691-1110. 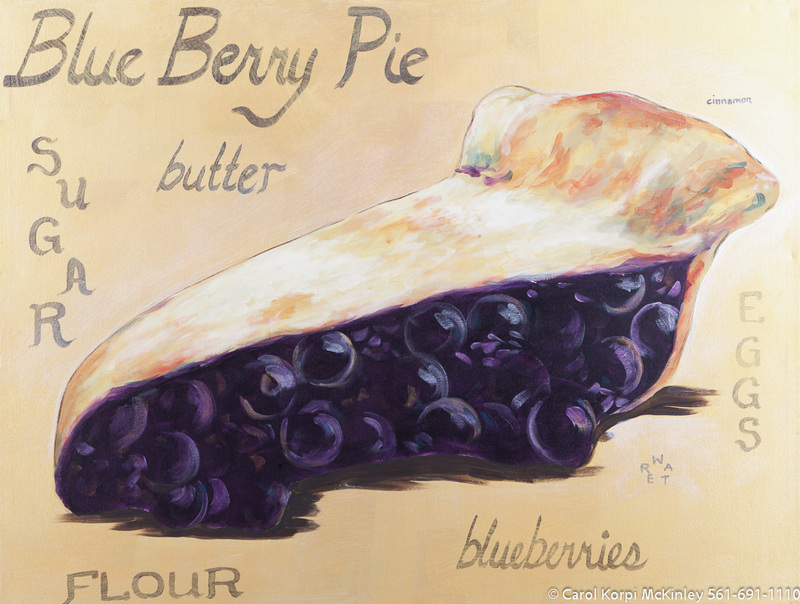 Blueberry Pie #JUN-011, Original Acrylic on Canvas: 30 x 40 inches $2250; Stretched and Gallery Wrapped Limited Edition Archival Print on Canvas: 40 x 56 inches $1590. Custom sizes, colors, and commissions are also available. For more information or to order, please visit our ABOUT page or call us at 561-691-1110. 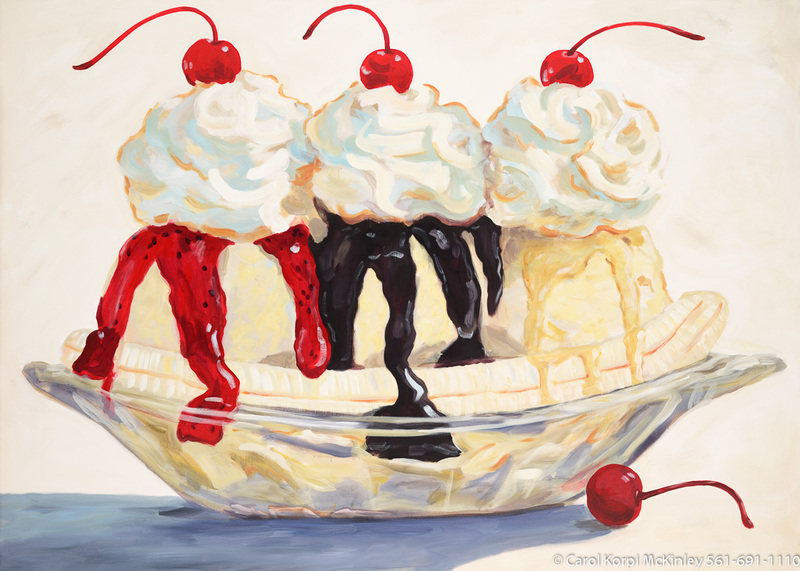 Ice Cream #JUN-010, Original Acrylic on Canvas: 30 x 40 inches $2250; Stretched and Gallery Wrapped Limited Edition Archival Print on Canvas: 40 x 56 inches $1590. Custom sizes, colors, and commissions are also available. For more information or to order, please visit our ABOUT page or call us at 561-691-1110. 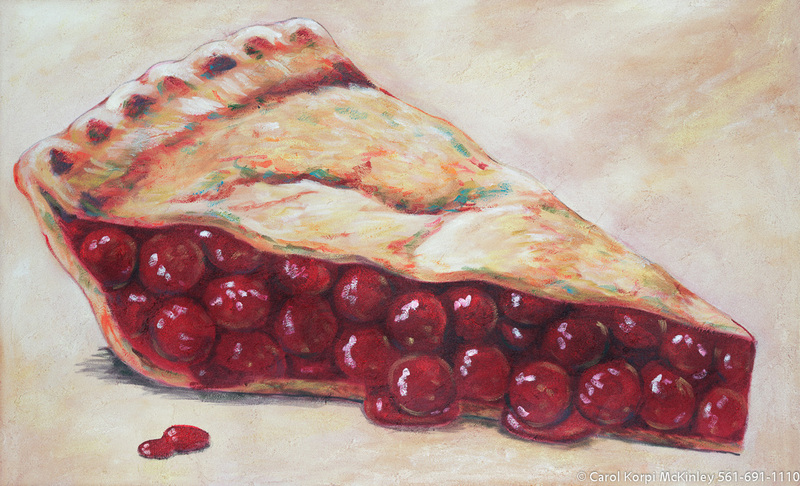 Cherry Cheese Pie #JUN-012, Original Acrylic on Canvas: 30 x 40 inches $2250; Stretched and Gallery Wrapped Limited Edition Archival Print on Canvas: 40 x 56 inches $1590. Custom sizes, colors, and commissions are also available. For more information or to order, please visit our ABOUT page or call us at 561-691-1110. 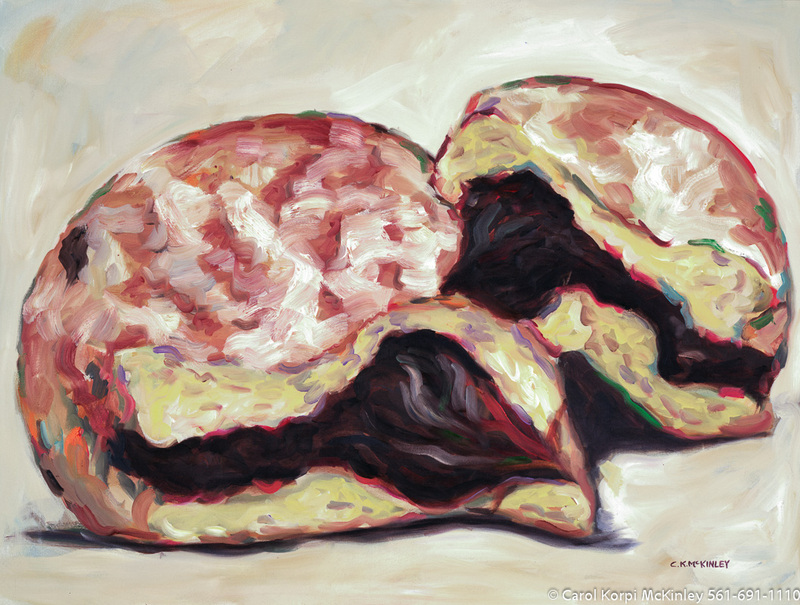 Brownie ala Mode #JUN-013, Original Acrylic on Canvas: 48 x 60 inches $3750; Stretched and Gallery Wrapped Limited Edition Archival Print on Canvas: 40 x 50 inches $1560. Custom sizes, colors, and commissions are also available. For more information or to order, please visit our ABOUT page or call us at 561-691-1110. 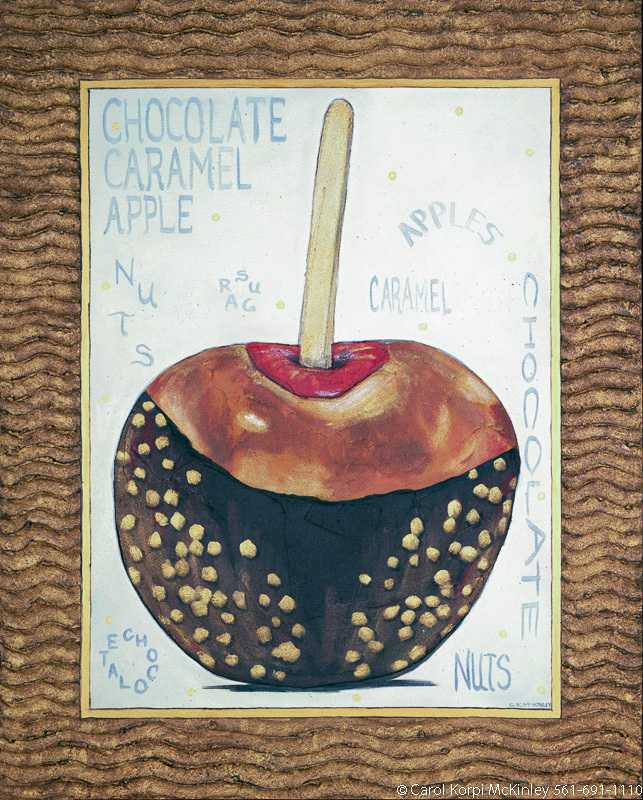 Carmel Apple #JUN-014, Original Acrylic on Canvas: 48 x 60 inches $3750; Stretched and Gallery Wrapped Limited Edition Archival Print on Canvas: 40 x 50 inches $1560. Custom sizes, colors, and commissions are also available. For more information or to order, please visit our ABOUT page or call us at 561-691-1110. 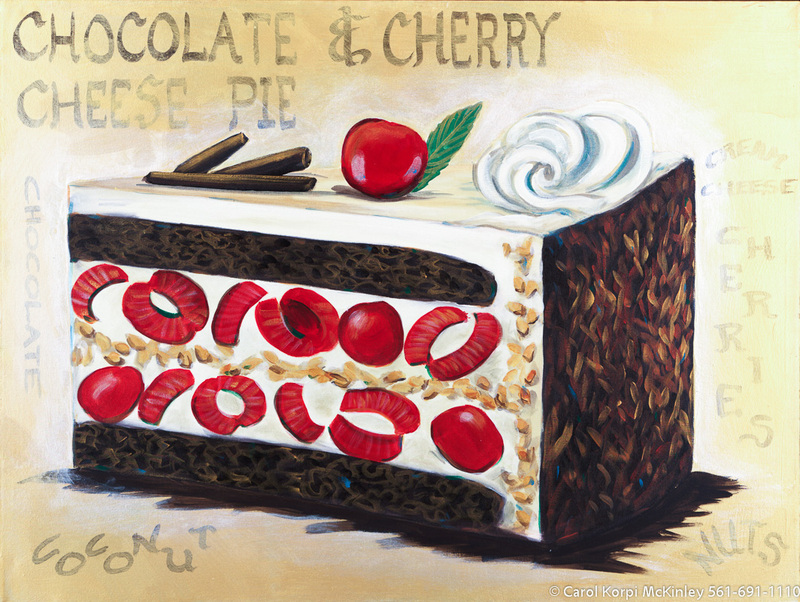 Cherry Pie #JUN-028, Original Acrylic on Canvas: 42 x 68 inches $6000; Stretched and Gallery Wrapped Limited Edition Archival Print on Canvas: 36 x 60 inches $1590. Custom sizes, colors, and commissions are also available. For more information or to order, please visit our ABOUT page or call us at 561-691-1110. 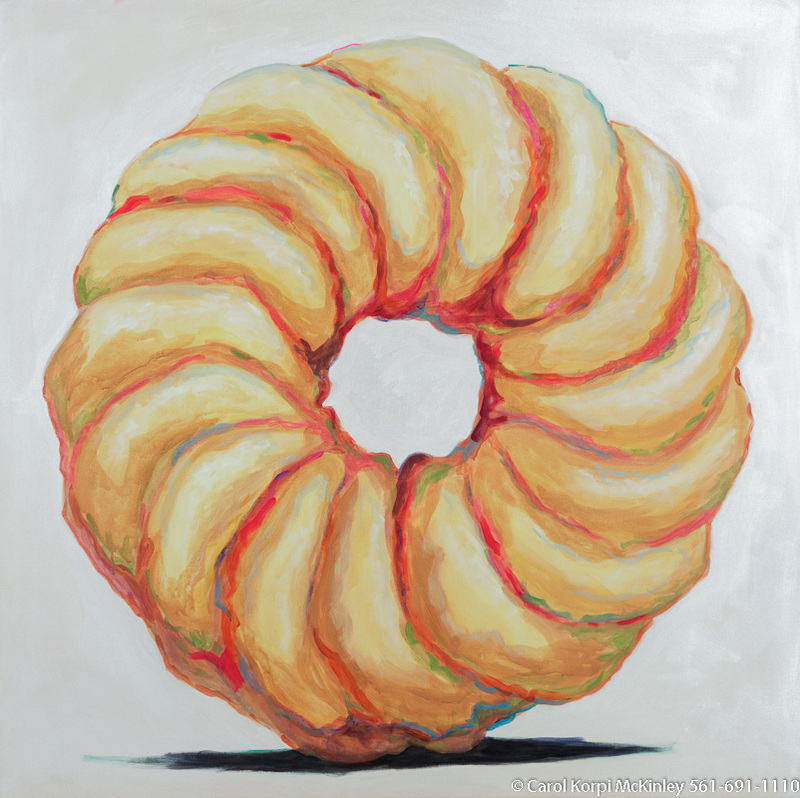 Doughnut #JUN-034, Original Oil on Canvas: 36 x 48 inches $2700; Stretched and Gallery Wrapped Limited Edition Archival Print on Canvas: 40 x 56 inches $1590. Custom sizes, colors, and commissions are also available. For more information or to order, please visit our ABOUT page or call us at 561-691-1110. 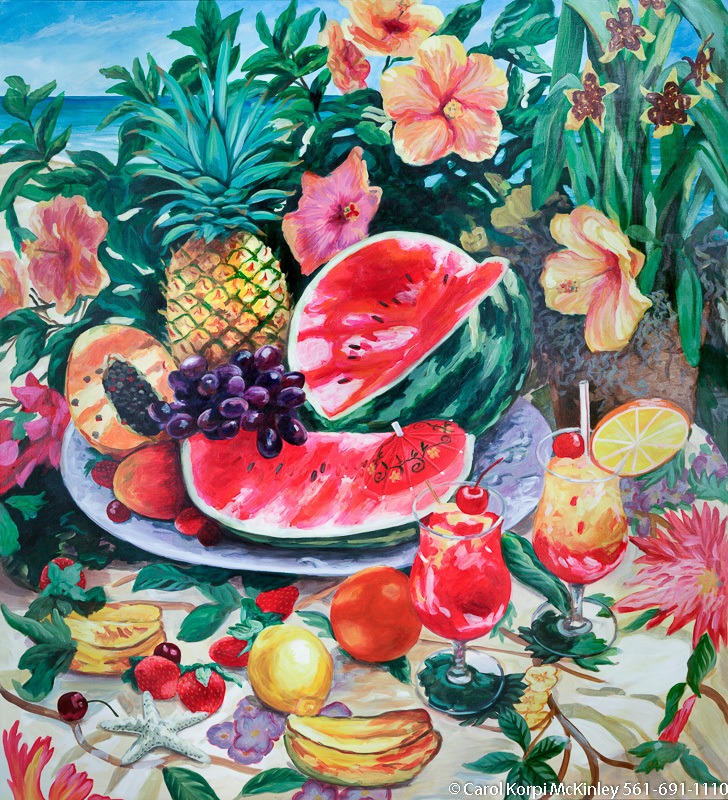 Snow Cone #JUN-036, Original Acrylic on Canvas: 48 x 60 inches $5100; Stretched and Gallery Wrapped Limited Edition Archival Print on Canvas: 40 x 50 inches $1560. Custom sizes, colors, and commissions are also available. For more information or to order, please visit our ABOUT page or call us at 561-691-1110. 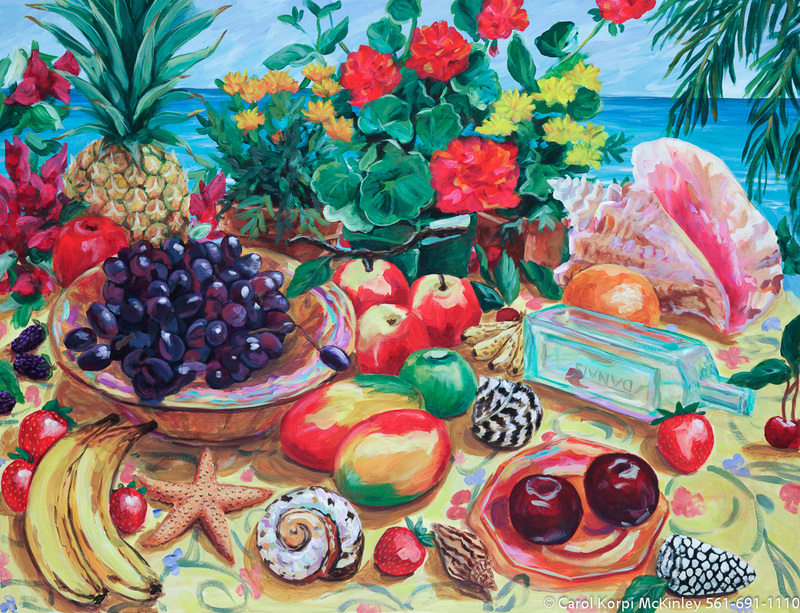 Desserts #JUN-019, Original Acrylic on Canvas: 48 x 60 inches, Sold; Stretched and Gallery Wrapped Limited Edition Archival Print on Canvas: 40 x 50 inches $1560-. Custom sizes, colors, and commissions are also available. For more information or to order, please visit our ABOUT page or call us at 561-691-1110. 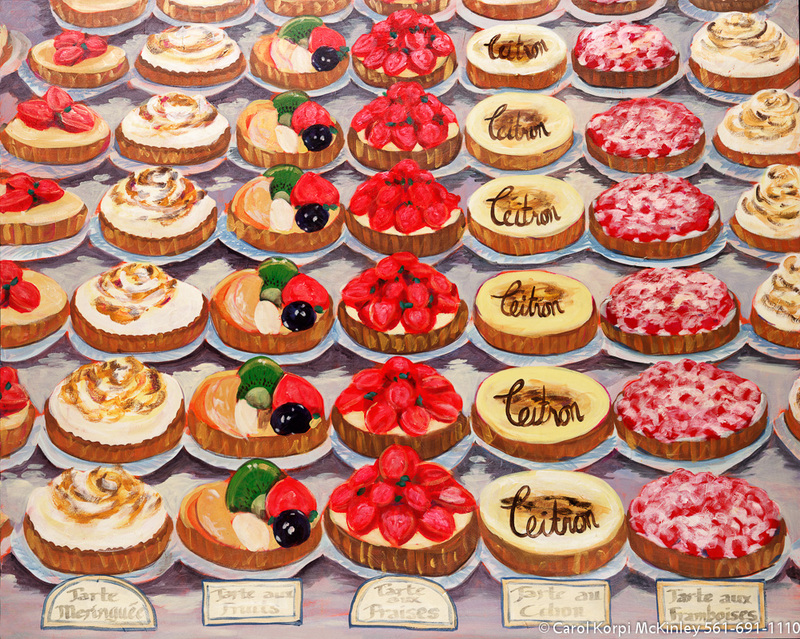 Dessert Counter #JUN-038, Original Acrylic on Canvas: 24 x 68 inches $3900; Stretched and Gallery Wrapped Limited Edition Archival Print on Canvas: 24 x 68 inches $1560. Custom sizes, colors, and commissions are also available. For more information or to order, please visit our ABOUT page or call us at 561-691-1110. 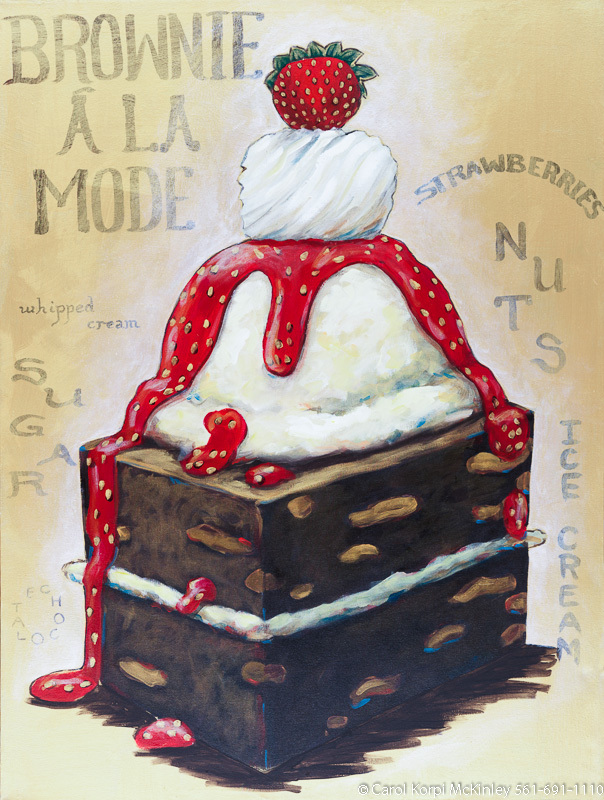 Ice Cream #XJF-001, Original Acrylic on Canvas: 24 x 68 inches $3600; Stretched and Gallery Wrapped Limited Edition Archival Print on Canvas: 24 x 68 inches $1560. 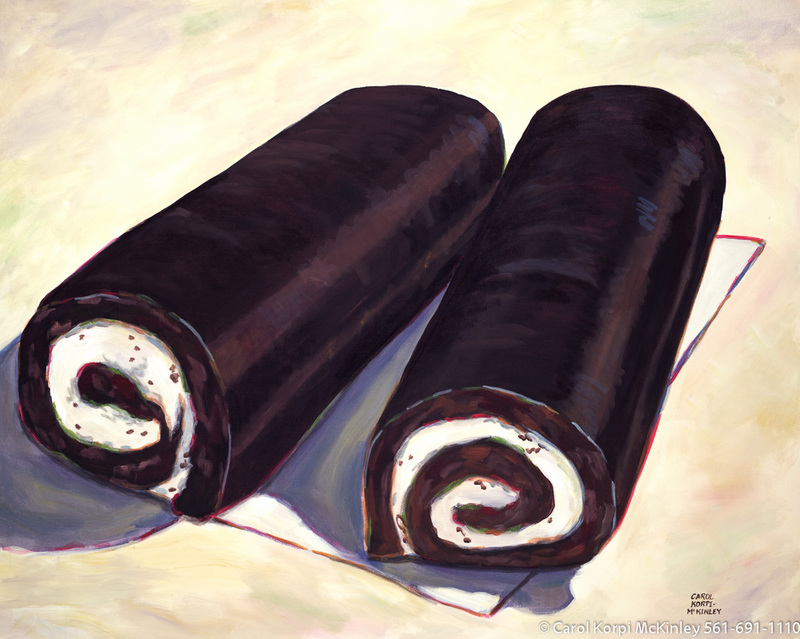 Ice Cream #JUN-039, Original Acrylic on Canvas: 48 x 60 inches $4200; Stretched and Gallery Wrapped Limited Edition Archival Print on Canvas: 40 x 50 inches $1560. 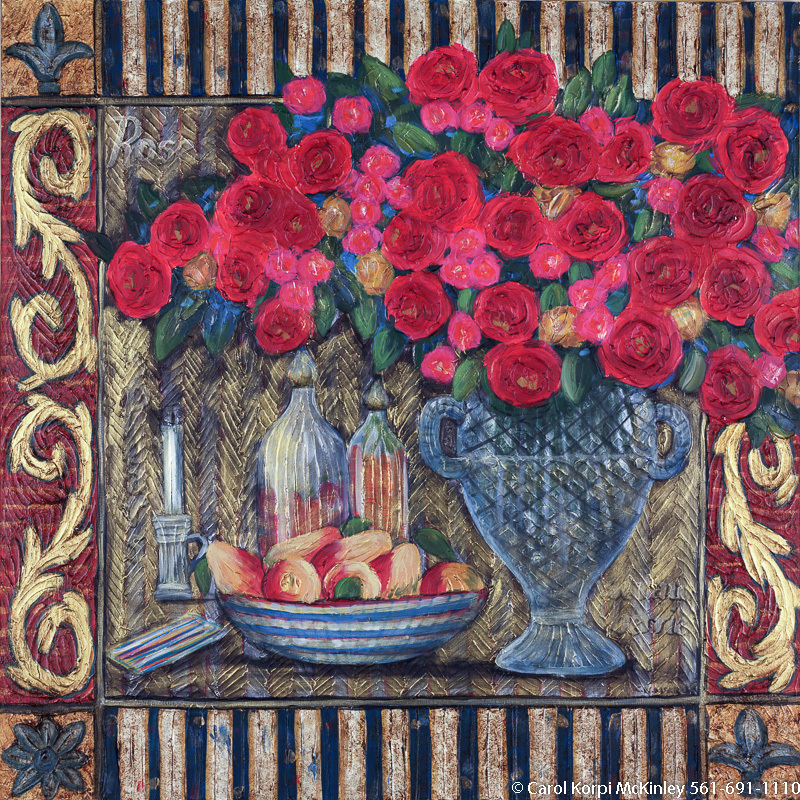 Still Life #BSL-009, Original Acrylic on Canvas: 65 x 65 inches, Sold; Stretched and Gallery Wrapped Limited Edition Archival Print on Canvas: 40 x 40 inches $1500-. Custom sizes, colors, and commissions are also available. For more information or to order, please visit our ABOUT page or call us at 561-691-1110. 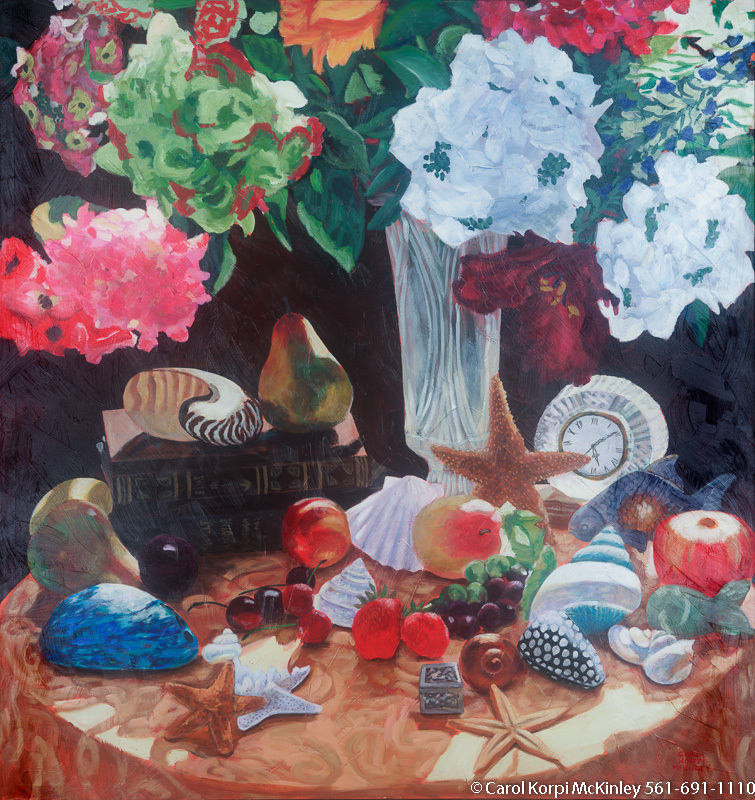 Still life #BSL-007, Original Acrylic on Canvas: 68 x 72 inches $11700; Stretched and Gallery Wrapped Limited Edition Archival Print on Canvas: 40 x 44 inches $1530. Custom sizes, colors, and commissions are also available. For more information or to order, please visit our ABOUT page or call us at 561-691-1110. 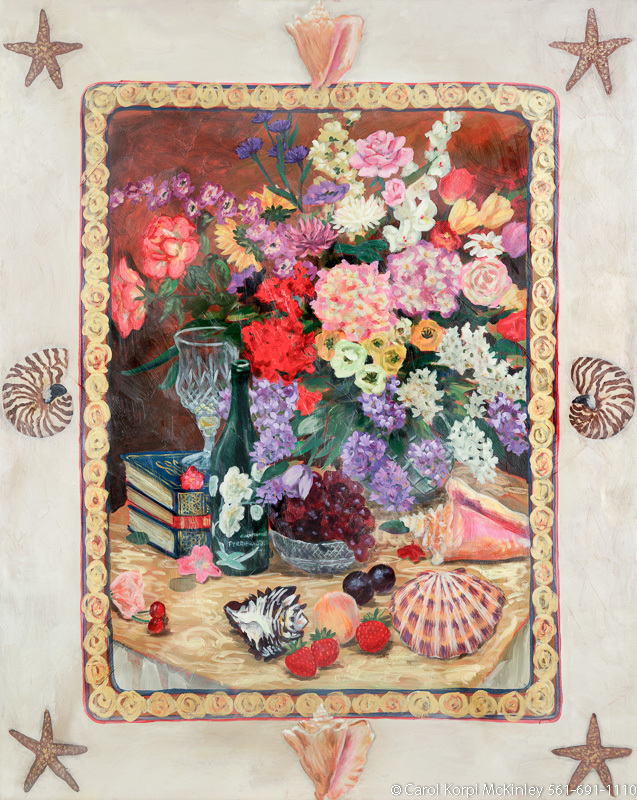 Still Life #BSL-008, Original Acrylic on Canvas: 36 x 48 inches $7800; Stretched and Gallery Wrapped Limited Edition Archival Print on Canvas: 40 x 56 inches $1590. Custom sizes, colors, and commissions are also available. For more information or to order, please visit our ABOUT page or call us at 561-691-1110. 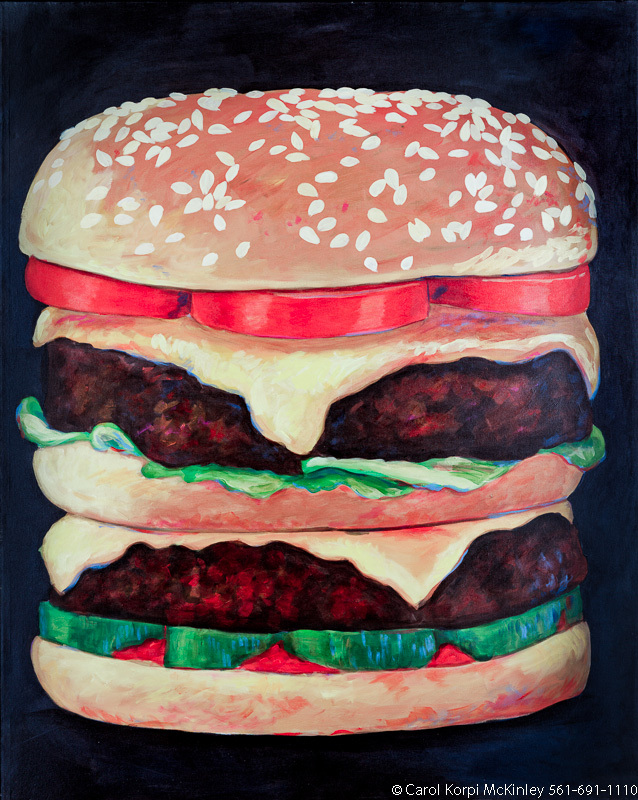 Cheese Burger #JUN-020, Original Acrylic on Canvas: 48 x 60 inches $6300; Stretched and Gallery Wrapped Limited Edition Archival Print on Canvas: 40 x 50 inches $1560. Custom sizes, colors, and commissions are also available. For more information or to order, please visit our ABOUT page or call us at 561-691-1110. 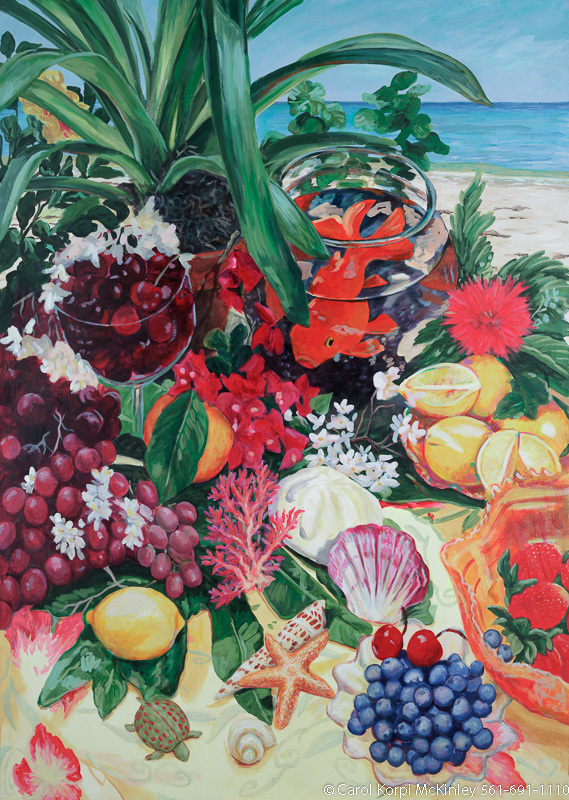 Floral #TAP-006, Original Acrylic on Canvas: 48 x 48 inches $5550; Stretched and Gallery Wrapped Limited Edition Archival Print on Canvas: 40 x 40 inches $1500. Custom sizes, colors, and commissions are also available. For more information or to order, please visit our ABOUT page or call us at 561-691-1110. 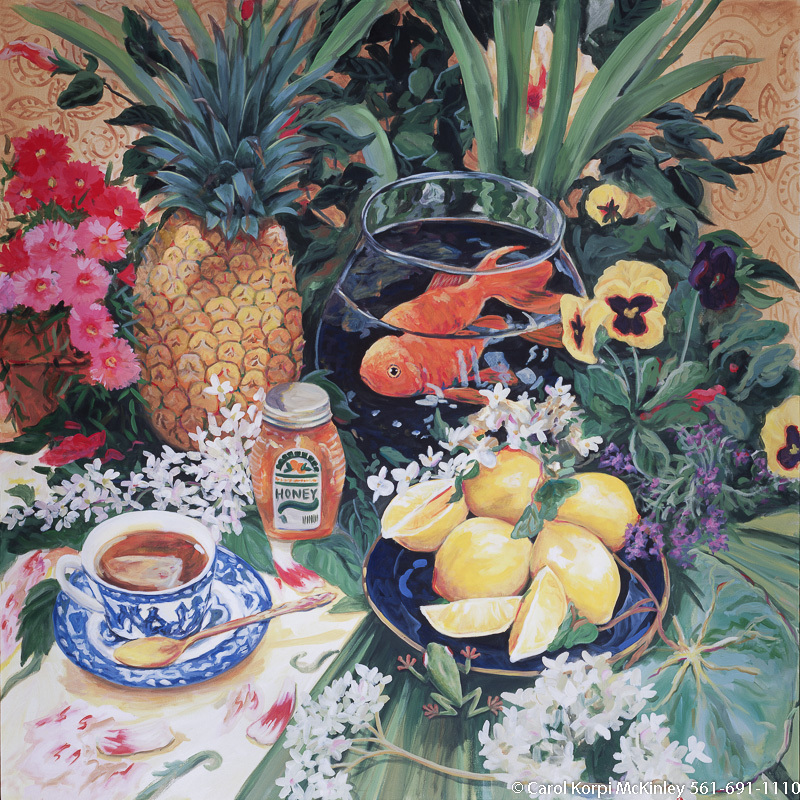 Still Life #BSL-005, Original Acrylic on Canvas: 48 x 48 inches $7800; Stretched and Gallery Wrapped Limited Edition Archival Print on Canvas: 40 x 40 inches $1500. Custom sizes, colors, and commissions are also available. For more information or to order, please visit our ABOUT page or call us at 561-691-1110.